In fifth grade, I was a little girl who couldn’t open her own water bottles. I remember the first day of school, I had to ask the girl next to me if she could open mine for me. Little did I know she would become my best friend for the next nine years. This fall, I’m heading into my sophomore year at Carolina. I can thankfully say I can open my own water bottles now, and I’ve also found some other pretty great friends along the way. Yet one year ago, my biggest fear was not having any friends. I’m from Orlando, and as you can expect, there aren’t many Floridians rushing to go to school at UNC. Though it was relieving to know I was going to a school where I could start completely fresh, I knew there wouldn’t be any recess time or water bottles to help me make friends. I didn’t want to be that one girl who hated college because she lacked a social life, so meeting people became my number one priority. As you say goodbye to your hometown friends this summer, I’ve gathered some tips on how to make new ones here at Carolina. The first few weeks of school is the time when everyone starts to get into the groove of things- you learn how late you can sleep in and still make your class, what days Lenoir is serving mac ’n’ cheese, and most importantly, what your go-to study place will be. Your habits probably don’t change much from day to day, so you’re bound to become a regular somewhere. Good news? You’re not the only one. Everyone has a specific schedule they follow, so there’s a good chance you’ll be running into some of the same people over and over. My first year, I was not expecting Carolina to be so cold so early on in the year. By late September, I was already opening up my Florida winter bins. When it was 50 degrees outside and I didn’t want to walk home from the UL late, I would do my homework in one of the study lounges in my residence hall. Turns out, a lot of other people felt the same way. Each day, no matter which lounge I was in, I would see someone familiar. Eventually, I found some of my best friends inside the Horton study lounges. You have no idea how much you can bond with someone over being stressed out about a paper at 2 am. Having a roommate has a long list of perks, one of them being that their friends will probably also become your friends. When all else fails, don’t be shy about tagging along with your roommate! Last year, my roommate came from a school in Raleigh, so she knew a lot of people coming to campus. It helped me a lot, because those first few nights before I knew anyone, it was her group of friends that made me feel more comfortable. Plus, there will be times your roommate invites his/her friends to your room, so it helps to be friendly with them! Make sure you get to know them, you might be seeing them a lot throughout the year. On move-in day, two girls in my hall baked cookies for everyone. They had moved in early because of Carolina Kickoff, so while everyone else was coming in and out with boxes and mini fridges, they were already settled into their rooms. They used their time to come up with an idea on how to meet people, and who doesn’t love cookies? That afternoon, they went door to door handing out cookies, and if there’s one thing college students love, it’s free food. If you move in early for whatever reason, try this tip out! It’s a super easy, nonintimidating way of meeting everyone on your floor. Everyone will remember the person that gave them their first piece of free food at Carolina. The two guys that lived next to me, went knocking door to door on the first afternoon asking people if they wanted to join them for dinner. If someone in your hall does this, GO!! I know everyone has pictured that scene from a movie where a kid is sitting alone in the dining hall. Though now I understand this is perfectly normal, I remember my freshman year I was super paranoid about being alone. The fact I didn’t have to worry my first night about eating alone seriously calmed my nerves about Carolina. Not everyone you meet your first day will be your instant best friend, but it doesn’t hurt to try. These two guys, Josh and Tyler, would end up being some of my best friends. 5. Don’t be afraid to initiate! For the first football game of my first year, my roommate woke up sick. I had planned on going to the game with her, but she was a mess, and I knew there was no getting her out of bed. For a moment, I panicked. There was no way I was going to miss my first Carolina football game (even if we ended the season 3-9, basketball school right? ), but there was also no way I was going to go by myself. An hour before kick off, I finally got the courage to go down the hall and ask some of the girls if I could join them. I didn’t even have to explain myself- they welcomed me with open arms. We may have lost that game, and many more, but I made some of my best friends by swallowing my fear and just asking them. Don’t be scared to do the same. Finally, the most obvious one. Joining clubs and organizations at UNC is the easiest way to make friends. Join Greek life, try out for a sports team, take part in service events…anything you do will make you a friend. Tar heels are some of the friendliest people you’ll meet, take advantage of it. How to Survive Finals Week! Finals week can be an incredibly overwhelming end to the semester as your classes cram all the material you have learned into one test. In addition to studying, a lot, there are numerous ways for you to ensure your finals week goes by as smoothly as possible! Below are some tips that have gotten me through my finals during my two years at UNC! During finals week, your brain is often working at maximum capacity, possibly storing analytical chemistry knowledge one day, and medieval Europe material the next. Because of the frantic schedule of finals week, it helps if you can eliminate chores beforehand. For example, buying final exam materials, such as blue books (used for writing exams), or scantrons beforehand can ensure that you do not forget them the day of the exam! Additionally, doing your laundry before finals week helps free up your schedule so you will not have to worry about clothes while studying. By doing chores beforehand, you maximize time for what truly matters during finals week : sleep, food, and studying! 2. Take Advantage of Residence Hall Study Lounges! Students tend to gravitate towards the libraries on campus such as Wilson, Davis, or the Undergraduate Library during finals week. Because most students are planning to study at the libraries, they can often become very crowded and hard to find seats in. For this reason, the study lounges that come with every residence hall can be an excellent resource for studying without the packed atmosphere! Personally, I enjoyed using the study lounges in Horton during finals week because it was so close to my room as opposed to the North Campus libraries (Wilson, Davis, and the Undergraduate Library)! 3. Exercise is Your Friend! For many students during finals week, exercise is the first thing to be sacrificed in exchange for study time. However, exercising can be a worthwhile study break that relieves stress which is effective in improving your mentality and preventing the potential onset of stress-induced acne. Also, exercising with a friend can be used as a much needed break to be social and remind yourself that finals week can be more than confining yourself to the company of only books and study guides! 4. Don’t Forget to Eat! While putting in long hours of studying for exams it’s easy to simply “work through meals.” However, by forgetting to eat three meals a day, you can be lowering your overall energy levels which can negatively affect studying and test performance. Additionally, it’s vital to eat a well-rounded meal to ensure you are fueling your body for success. For example, fresh fruit can be used as a much needed sugar boost while eggs can be an excellent source of protein! 5. Make Time for Sleep! One of the worst aspects of finals week is the dreaded all-night study sessions that result in eye bags and drained energy. Often times, all-night study sessions can be replaced with waking up early, and studying efficiently throughout the day. Also, by reaching around 7-8 hours of sleep a night, you will be able to approach your final exam with fresh eyes and a rested mind. Personally, after performing an all-night study session, I have found myself making small mistakes that simply result from a lack of sleep. Carolina is an amazing place to be and learn BUT LETS BE REAL, at times it can feel stressful and challenging. As assignments pile up and exams approach, it is natural that your levels of anxiety and stress rise. Along with academics, being away from home can be difficult to adjust to and cope with, therefore we understand how hard it can feel. However, we want to make your years here as pleasurable and stress free as possible! First thing to keep in mind is that it’s okay to seek help. UNC can be academically challenging at times and we recognize that. That’s why if you’re are struggling don’t be afraid to speak with your Teacher Assistant or even your professor to receive additional help. Luckily, Carolina provides free tutoring sessions in Dey Hall or in SASB North, so take advantage of these resources! Also, ease your mind by speaking with a friend, classmate, Residential Advisor, etc as their is someone always willing to listen. Also since everyone is pretty much on the same boat as you, it won’t be hard for someone to understand what you’re going through. We understand that the struggle is real but don’t let that hinder your from feeling or doing your best at Carolina! There are also mental health professionals located at Campus Health that are dedicated to ensure you can be your best mentally while at Carolina, so schedule and appointment or walk in to get a chance to speak with them! For The People, By The People. There are many mental wellness organizations created by students for the students that are dedicated to promote positive wellness among the student body. If this is something you’re passionate about or if you need a community that can take time to understand and help you overcome those difficulties then be sure to check out those organizations. HeelLife is a UNC portal that allows students to scope through the surplus of organizations at Carolina. You can filter your search with any keyword to find the one that best fits you. To get you started there are a few popular organizations that we have included here. One of them is known as We Wear the Mask which is a group focused on decreasing the stigma around mental health within the African American community to promote better ways to approach mental health. Another organization is known as Embody Carolina, which was started by a Miss UNC Campaign that now has been established as a organization. The organization strives to portray a positive outlook towards body image and body positivity. Healthy Heels is another group found within UNC that is orchestrated by students ambassadors, who are committed to advocate a healthy lifestyle for students through workshops, pitsits, and other events. So through the highs and lows you may experience during your college career, never forget that we’re all in this together! Having a balance between school and your personal time is very essential. Don’t be shy to use the endless resources around you or your peers for a listening ear or an extra hand. The struggle is something we will all face and there’s no reason you should have to face it alone! Definitely strive to make these the best years of your life. So don’t forget to have fun and let loose but always keep your head in the game! UNC is a constant sea of Carolina Blue, filled with die hard Tar Heels who have been born and bred into the family… or at least that’s how the saying goes. But for me, and many other students, this isn’t the case. In fact, my story of how I came to bleed Carolina blue is quite different than the alma mater I chant at the end of every game. My story starts six years ago when my big sister decided to go to UNC, and I decided (out of sibling spite) I would love Dook. I wasn’t devoted to our gothic rivals, but I took every opportunity I could find to remind my sister what I believed to be true, that Dook was the better blue (which as we all know is a down right lie). On move-in day I put on a Tar Heel shirt (the least Carolina Blue one I could find) to show my support, but on every other day I would sport Devils gear when I could find it – which became a difficult task growing up in a Tar Heel family. I would take pictures in Dook hats thinking I was so cool; pictures that are now so embarrassing and often come back to haunt me. My sister (Bryanna MacKay) and I on her freshman move-in day, circa 2012. Flash forward two years… it’s college decision time for me and I’m an absolute wreck without a dream school or clear path. Carolina seemed like a good fit and an obvious choice being an in-state student, so I applied here and five other schools. After I got back all my decisions I was torn between UNC and Syracuse University – two schools that checked off every box on my list. They both felt like they could be my future home, each with a great journalism program and big on school spirit. They also happened to be two schools playing each other in the NCAA Men’s Basketball Final Four. Everything in my heart was telling me to go to UNC, but I needed a little push to solidify my decision. So I told my Dad “If Carolina wins tonight, I’m enrolling tomorrow.” He laughed it off, but I was incredibly serious. 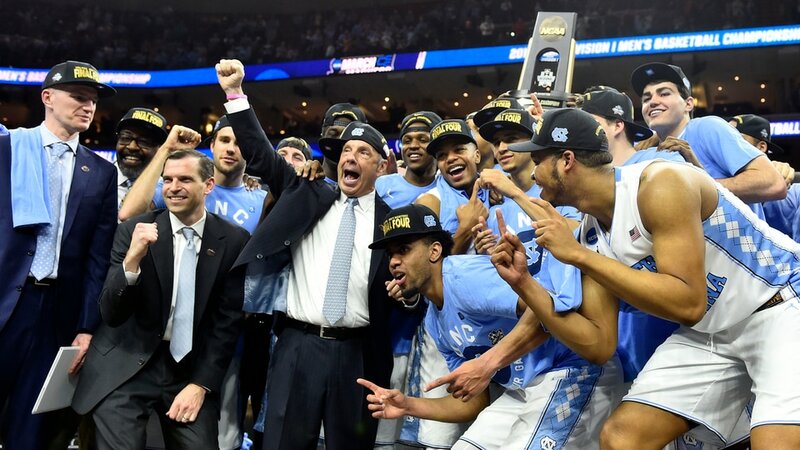 On April 2nd, 2016, the Tar Heels beat the Orange 83 to 66. On April 3rd, 2016, I paid my enrollment deposit to UNC Chapel Hill. THANK YOU Heels, for winning this game and deciding my fate. Since that moment, I’ve never had a single doubt in my mind that I made a wrong decision. I remember walking through the pit one day in maybe my second week on campus thinking “I’m so lucky”. After all, we get to take classes and live in the most beautiful place in the South, what more could we really ask for?? It’s the way the sun hits the quad under a mesmerizing Carolina blue sky. It’s the smile on the little boy’s face as he walks into the Dean Smith Center with the sparkling number 23 on his chest. Or the feeling of never being completely alone, even if when you feel like you’re hitting rock bottom during finals. Calling myself a ‘dook fan’ growing up is no comparison to my dedication to this university. There is nothing that gets me more excited than waking up early on a Saturday morning to wait three hours in the cold for a spot on the risers. I will always get goosebumps during the Tar Heel lights show and tear up during the intro video (seven… seven… SEVEN national championships). And I will always shout the alma mater from the top of my lungs, win or lose. Me (front row, right) taking jump around too seriously, per usual. I love Carolina for welcoming me in and never making me feel like I was an outsider. When I chant “I’m a Tar Heel born, I’m a Tar Heel bred, and when I die I’m a Tar Heel dead”, I really feel like that’s true and it unites me with all my classmates – no matter what our backgrounds may be. My point is you don’t have to be born into the Carolina family to be a Tar Heel. All those who support UNC support each other, no matter who you have supported in the past. And to me, that’s why this university is such a priceless gem. 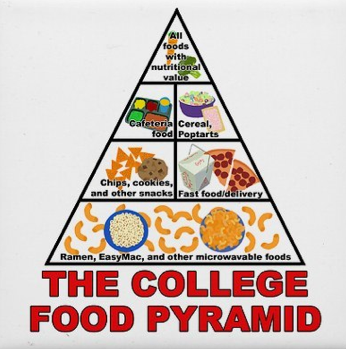 There is a reason everyone associates dorm food with them, ramen noodles and easy mac WILL be your lifesavers. There’s just no way around it. Any variation of instant pasta will do, but these two are the cheapest. All you need is the pasta, water, and 3 minutes of your time, and then voila, you have yourself a whole meal! If you want to get creative, add a few herbs and spices. It’ll take it from your traditional microwavable meal to one worthy of Gordon Ramsay (okay exaggerating a little). It might’ve been since fifth grade since you had a lunchable, but don’t underestimate them. These are the perfect snacks for when you’re hungrier than just chips, but not hungry enough for a full meal. My favorite is the classic ham and cheese (it brings oreos!! ), but you can’t go wrong with the nachos either. For days you wish your classes were as easy as in elementary school, lunchables bring you one step closer to your inner 10 year old. For when you need something salty to munch on, these are the perfect snack items. They’re cheap, unmessy, and honestly very yummy. Chips and queso? Chips and salsa? Goldfish? Doritos? Get a variety pack and avoid boredom. Those 8 a.m. classes are tough, honestly even the 9:05 and 10:10 classes can be hard to get to some days. When you don’t have time to get breakfast beforehand, make sure to keep your room stocked with bagels. They’re yummier than plain bread, but still filling, and they’re something you can eat as you run to class. For those of you with a fridge, feel free to keep some cream cheese or butter. It’ll be just like you stopped by Alpine. My first year, a group of my friends created this “banana challenge” as a joke. They challenged you to eat a whole banana under 10 seconds, and yes, it’s as hard as it sounds. One time, they “banana’d” me, forcing me to start the challenge. They were chanting my name to get me to do it, and soon enough, that whole area of the dining hall was shouting “Valentina! Valentina!” It was mortifying, to say the least. I didn’t end up eating the banana in the dining hall, not with all those people staring, but I did take it back to my dorm room. That’s when I realized I had just done something. Why use a swipe trying to get a banana, when I could just take one the night before and save it in my room? Try this every time you’re in Chase. Don’t leave without a banana. As for cuties, who doesn’t love them? The Target on Franklin sells them year round, so be sure to stock up. Do I even need to explain this one? Perfect for on the go, perfect in the morning, perfect at night… There is really no bad time for granola bars or trail mix. Definitely buy one with m&m’s in it- no one eats the normal kind anyway. Everyone has a sweet tooth. When you’re on South campus and don’t want to walk a mile for Lenoir cookies, make sure to keep something sweet in your room. I found cookies or chocolates work best because they don’t expire quickly, but definitely, if you’re a baker and you enjoy cupcakes on the weekly, keep some cake mix in your dorm. It’ll come in handy if you ever forget about your roommate’s birthday. Many of these foods require a fridge or microwave, but that doesn’t mean you need to bring both. One of the great blessings of having a roommate is you guys can decide what each person is bringing. Divide and conquer. Now that room assignments are out, get in contact with your roommate and start talking about who is bringing what. There is no point (or space) to have two of each item. Why Having a Roommate is the Best Thing Ever! Before college, many people never experienced sharing a room with anyone. Even if they did, it was probably a sibling that they felt close enough to yell at or kick out when they needed their own space. So sharing a room with a peer can seem terrifying. But I promise, it doesn’t have to be! You’ve heard all the horror stories of roommates that didn’t get a long, so let’s talk about all the ways that living with a roommate rocks. As much as we all love and need our alone time, too much time spent by yourself can get very lonely, very fast. Odds are that you and your roommate’s schedules won’t perfectly match, and you’ll both have a fair amount of time with the room to yourself. At the same time, having someone to keep you company when you need can go a long way. It eases the homesickness and all the other struggles of college when there is someone else in the room. Even if you aren’t talking the whole time, just knowing they’re there for you and you aren’t alone is incredibly soothing. They understand what you’re going through. No matter how different your class schedules or backgrounds are, you are both going through the same stage of life – adjusting to college. And no one ever said this stage was easy. Just having someone to talk to and relate to makes you feel a lot less isolated when things get rough. For every bad exam grade or long night studying, there’s another student who feels your pain, and when it happens to be your roomie, that makes everything that much better. They can help you with all your little struggles. Key got stuck in the door? Scary bug eyeing you from the corner of the room? Locked yourself out? Can’t reach the top shelf? Wind making scary noises? Seriously, what would we do without roomies to come to our rescue??? You always have someone to binge watch shows with. Because watching The Bachelor is so much better with someone to laugh at all the dorky contestants with. Sometimes you just need a break from studying and a good TV show with an eager roommate can be the perfect cure. And drag along on other crazy adventures. What would college be without crazy adventures? From Insomnia Cookies at times where you definitely should be sleeping to exploring Carolina’s best kept secrets – memories much more fun when you have someone to make them with. Plus, a roommate is much less likely to say no than a text to a random friend. I mean, how could they say no to your face when you have such convincing arguments that this adventure has to happen right now?? It’s never just you two. When you’ve had enough of your roommate, the beauty of residence halls is there are so many options of people to hang out with. Whether it’s suitemates or hallmates, you’re sure to find someone else in your building you click with when you need a little escape. As much as you may think you’ll hate sharing a room with someone, this is such an essential part of university life. A roommate is that person that doesn’t have to be your best friend but will always be there for you no matter what. And the first weekend they leave you alone, I promise you’ll be begging them to come home soon! Best Ways To Get To Know Your Residence Hall! When moving into a new residence hall, meeting people can be a daunting task because it seems like everyone is fixed on their own routine. However, the vast majority of students are eager to meet new friends and are simply uncertain about how to start the first conversation. Here are some tips that will ensure you get a chance to meet some of your potential best college friends! Once you are done moving into your residence hall, it is wise to keep your door open to convey a friendly vibe. By having your door open, your hallmates will often visit your room to introduce themselves. Through these introductions, you might find that you have similar music, movie, or sports interests with your hallmates and find a quality friend! Most RAs (Resident Assistants) will host a hall meeting for their residents after move-in day. This meeting can not only be an excellent way to find out information about future residence hall events, but also a great way to meet new friends. The vast majority of the people at the first hall meeting will not know each other so everyone is keen on making new friends! Also, the first hall meeting often includes some type of free snack which is reason enough to go! For example, my first hall meeting at Horton Residence Hall featured some delicious brownies. Residence halls often feature different entertaining events that numerous residents attend. For example, trivia nights, free food, and friendly sports competitions are all common events! Because so many residents attend these events, also going is a excellent way to meet new friends and familiarize yourself with your residence hall. While in Horton Residence Hall, there were many events that involved free pizza where I met new friends while also enjoying free food! 4. Become Everyone’s Best Friend Through Baking! Taking advantage of the community kitchens that come with every residence hall at UNC can also be a way to meet new friends! For example, I met one of my good friends in Horton Residence Hall through her messaging our group chat for our hall saying to come by her room if anyone wanted cookies. For obvious reasons, a good amount of people showed up to the room. However, people did not just grab a cookie and leave, they tended to hang around and have a conversation. For this reason, baking something for the hall can be a great way to meet new people! The study lounges in the different residence halls at UNC are a worthwhile place to work because of the available space to focus. Despite the study lounges usually being a quiet space, they can also be a great place to meet people in your residence hall! Often people will introduce themselves to different people in study lounges which makes it a great place to find a potential study buddy! Your residence hall will often be the place you find some of your best college friends. By taking the initiative to be social, you will quickly become familiar with your residence hall! Tips on Making Your 8 A.M Class! For many college students, having an 8 a.m. class in their schedule can be a terrible way to start the day. However, that does not have to be the case! By making small adjustments in your routine, and picking the right class, having an 8 a.m can be an excellent way to get more use out of the day! As you wake up to a blaring alarm clock during the early hours of the morning, the thought will definitely cross your mind “should I even go to this class?” To make sure you do not lay your head back on the pillow, it helps if your 8 a.m is a class you’re interested in. Having an interesting 8 a.m will not only increase your chances of making the class, but will also make the class time more enjoyable. Instead of fighting to stay awake in class, because the course material will be personally engaging, you will be more attentive in class! If taking an interesting 8 a.m is not enough to coerce you to get out of bed, a required attendance policy might. Many professors have required attendance for their classes meaning you can only miss a limited amount of days before you start having points deducted. By having a direct consequence for missing class, most students will find a way to attend classes with required attendance. For this reason, seeking out an 8 a.m class with a required attendance policy can ensure that you do not miss class! 3. Everything is Better With Friends! When going to a class alone, it is easy to convince yourself that skipping is not that bad. However, when taking a class with a friend, you are becoming accountable to another person. That being said, if you skip your 8 a.m then you will certainly be receiving a disappointed text message from your friend who made it to class. Additionally, any class is better with a friend to talk to! One trap that makes it easier to oversleep for class is having an alarm clock that is too close to your bed. Whether you use an actual alarm clock, or your phone, it helps if you place it away from your bed before you go to sleep. The reasoning is, by getting out of bed, and walking to your ringing alarm clock, you will be less likely to go back to sleep because you are no longer in your cozy cocoon of a dorm bed. Managing to consistently attend an 8 a.m class can be difficult, but can be made nearly impossible by a terrible sleep schedule. For this reason, striving to get at least 7-8 hours of sleep before having to wake up for your 8 a.m is ideal. This can be easier accomplished by staying productive during the day so that you are less likely to have to sacrifice sleep for late-night homework sessions! Let’s be real, with all of the social and academic pressures of college, cleaning your room starts getting pretty low on the list of priorities, but having a clean room can improve both your mental and physical health. Not only that, but it will keep your mom from yelling at you when she comes to visit for family weekend (personal experience, not fun). So, without further ado, here are some tips for keeping your room clean. In every community on campus, there’s an office that can help you if you locked yourself out, need something fun to do or require cleaning supplies. You can rent out vacuums, brooms and Swiffer mops. It may not seem like it’d do much, but you’d be surprised at how much better and cleaner a quick sweep can make your room look and feel, and it really doesn’t take that long. Plus, renting it means that you don’t have to buy it yourself, which is wonderful because if there are two things college students hate, it’s spending money and cleaning. If I don’t put something on my calendar, it doesn’t happen. That’s just how it is. Scheduling a certain time to clean ensures that you don’t keep putting it off by saying “oh yeah I need to do that sometime,” and then immediately forgetting about it. If you want, you and your roommate can turn it into bonding time. Just put on a great room cleaning playlist full of middle school throwback jams, and what was once a chore becomes a party. This obviously doesn’t apply if you’re in a hall-style dorm or an eight-person suite, but if you live in a four-person suite or an apartment, the bathroom gets filthy, and it gets filthy fast. The good news is that cleaning the bathroom isn’t as difficult as you think. For instance, if you want to clean the shower, just get a spray bottle of shower cleaner (yes, that’s really what it’s called. It could not be easier), spray it in there, wait a few minutes and use the shower head to rinse it off. Also, invest in some disinfectant wipes, as they can be used to clean just about everything in the bathroom, from toilets to sinks to shower heads. I’ll admit that I’m kind of bad at this one, which is weird because I’m good at everything except modesty. I don’t know what it is, but there’s something in my brain that says if I leave the dishes there long enough, they’ll eventually just go away. This is obviously not true, and the pile just grows to the point that I’m praying for an apocalypse because at least then, I won’t have to wash them. In suites, this is an even bigger problem because there’s only one sink, and if your roommate finds themself unable to brush their teeth because of the monument to slobbiness you’ve built in and around the sink, there can be some tension. If you wash the dishes as you use them, however, it’s only one plate or bowl at a time as opposed to a daunting mountain. It’ll take a few minutes instead of half an hour, and it’ll be so worth it. Not only does making your bed make your room look a little less sloppy, it also makes you feel better and be more productive. If you make your bed right when you get up, you’re less likely to get back in it and go back to sleep. It also makes you less likely to lay down and take a nap later in the day. I love naps as much as the next person, and sometimes they’re necessary, but they can also be counterproductive if you really need to do work. Making your bed is a simple, quick thing you can do to make your room look better and help you feel better. College can be stressful and busy, which can make cleaning your space feel pointless and time-consuming, but the benefits of having a clean place to live are very important and can greatly impact your physical and mental health. You’ve decided to join the UNC Class of 2022; you’ve filled out the Housing application; what else is there to do? 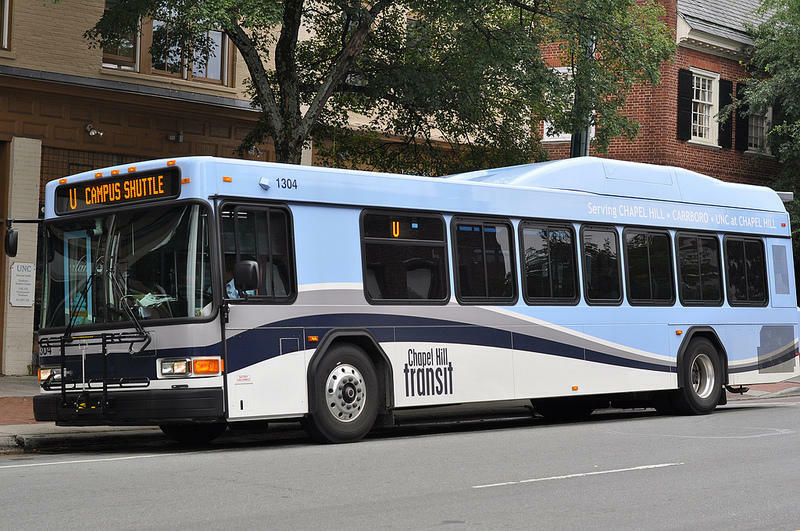 Here in our college town of Chapel Hill, North Carolina, all students (and any community members) have access to the Chapel Hill Transit service at no additional cost! Our transit system has 30+ different bus routes, each allowing students to access different parts of the town without having to worry about driving. This guide will show you ropes and get you prepared to take full advantage of the resource when August rolls around! Don’t feel like walking to class today? I don’t blame you–I am the same way! Thankfully, we have two on-campus routes that essentially drive in circles around our campus all day. The U shuttle goes in a clockwise direction around campus, and the RU, or Reverse U, goes in a counter-clockwise direction, in case you’re going the other way. Whether you want a new outfit or need to stock up on snacks, you don’t want to have to walk home with your bags! Both the J and CW routes depart from the bus stop near Abernathy Hall on campus, and will take you to Carrboro, where there are both boutiques and grocery stores. If you are looking for a wider range of options, the G route departs from South Road, and will take you to University Mall, home to shops, restaurants, and a movie theater. Want To Get Out of Town? Use GoTriangle Transit! 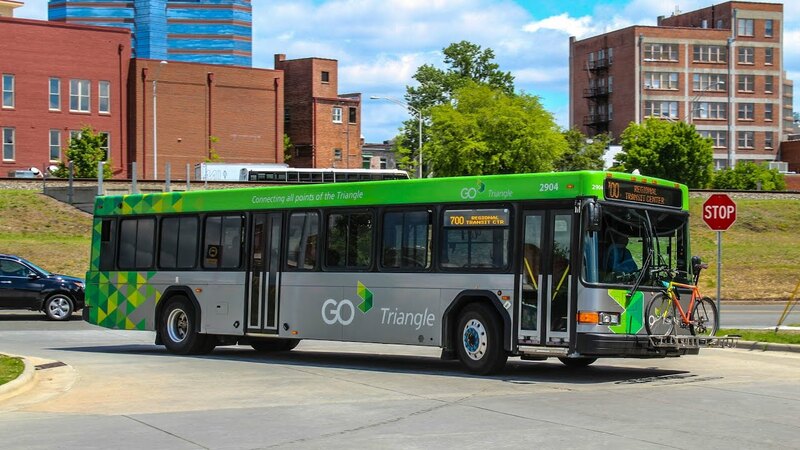 The transit service for the greater Triangle area, GoTriangle, offers buses routes from Chapel Hill to many desired locations in the area (at a small cost). These buses can take you to nearby Raleigh or Durham, larger cities filled with job opportunities and fun destinations. GoTriangle also has routes to the airport if you’re planning a trip home! The local bus systems are a great resource that all UNC students should take advantage of because we have such a great surrounding community. It also doesn’t hurt that the bus drivers are super friendly! If you’re ever unsure of where to go, feel free to ask a driver, and they can point you in the right direction. The Chapel Hill Transit bus routes and schedules can be found here, so let’s get moving Tar Heels!